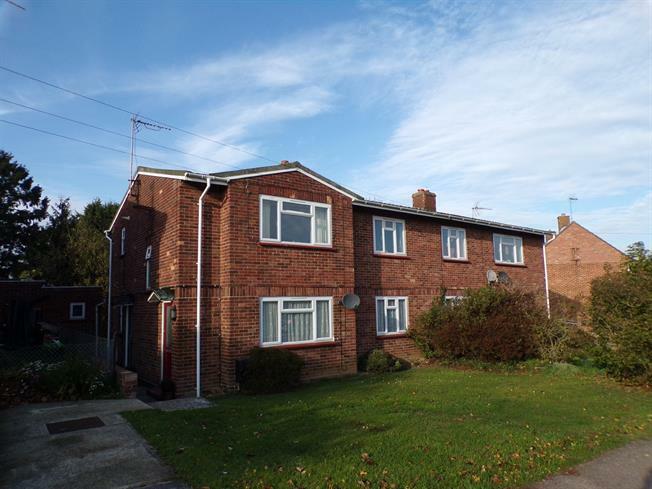 2 Bedroom Maisonette For Sale in Braintree for Guide Price £165,000. This purpose built two bedroom maisonette is on the first floor with its own front door and internal stairway. The property is very well maintained and has been decorated to a modern and contemporary finish. There are two bedrooms, sitting room, kitchen and bathroom. The private rear garden is mainly laid to lawn with mature trees and shrubs. There is a quiet seating area perfect for relaxing in the evening or for those summer barbeques. The garden is a generous size in fact it rivals the size of garden expected for a three bedroom house!!. From the private front door, internal stairs take you to the first floor and a small landing at the top of the stairs, a door then leads you in to the sitting room. The generous size sitting room has more than enough space for both relaxing and dining, currently a corner sofa frames the room with a family sized dining table and chairs at the other end. The kitchen is dual aspect with windows to the rear and side, there are wall and base units providing ample storage and beneath the counter is enough space for all of the white goods. The Master bedroom is at the front of the property and is a great size double bedroom. There is enough space for all bedroom furniture and even a king size bed. At the rear the second bedroom is smaller than the first but is still a comfortable size with a window overlooking the garden. The three piece bathroom suite comprises; panel enclosed bath, low level WC and pedestal sink. There is parking at the front of the property both on the private turning and the main road.